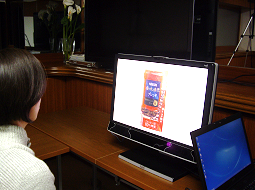 Eye tracker is a device that tracks human eye movement. 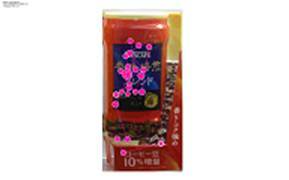 It monitors how consumers see products or POP materials in stores, and also enables to track how package designs and labels are observed. Studies on eye movements and duration of fixation could provide further insights on shoppers' behaviour and what actually grasps their attention, and could consequently contribute to the improvement of product packaging and POP designs. An eye tracker could also track consumers' subconscious eye movements and could help in foreseeing subconscious shopping behaviours. 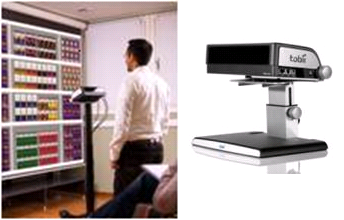 With numerous achievements on eye tracker research using eye tracker from Tobii Technology Japan K.K., CBR will provide effective research methods to cater the demands of each client needs. 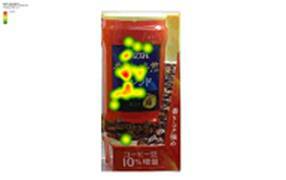 Respondents wearing eye tracking glasses will shop in a real-life retail environment. 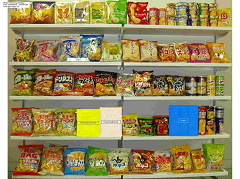 This research enables to measure how respondents see products or POP materials on the shelves, see how respondents interacted with the products, or to observe which products gained attention. Results may be less accurate compared to fixed eye tracking research as numerous infrared markers are installed to observe respondents' behaviour, and eye pointers could lose track of respondents when they draw too near. Nevertheless, this research could be done in situations closest to the normal shopping experience, and this indeed is the largest merit. By using mock-ups, this research closest to real-life environment is suited to comparing the visibility and effectiveness of test products to existing products. Studying the time until first fixation, duration and frequency of fixation, eye movements, respondents' recollection and impression of test products and decisions of purchase could all become valuable insights to further improve your test product. This research could be done without putting on glasses, and respondents are simply asked to stand and gaze from a certain point. 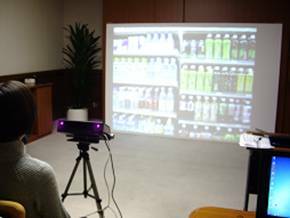 With a fixed eye tracker, measurements could be done by projecting images of store shelves, package designs, promotional POP material designs, or either by using actual shelves. 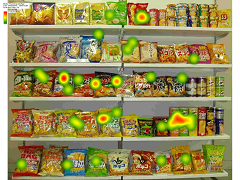 Though this method cannot observe the natural shopping behaviour, it accurately measures the eye movements of respondents, and is especially keen in tracking the slightest eye movements of how respondents read information on materials and packaging. Before developing mock-ups, assessment of various test designs could be easily done by projecting them one by one on the screen. Just like eye tracking glasses, this is well suited to comparing the visibility and effectiveness of test products by studying the time until first fixation, duration and frequency of fixation, eye movements, respondents' recollection and impression of test products and decisions of purchase. 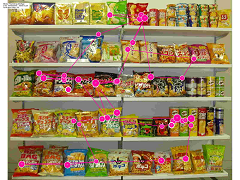 Eye movements could be easily measured by observing how respondents see product designs and promotional materials on displays. The largest merit of this method is the fact that this research could be done with graphic test designs, and does not require mock-ups. This is highly effective in further improving existing designs or narrowing down the designs before the creation of mock-ups. Designs on displays could also be easily rotated or switched using this method. Eye movements could be monitored with videos. Heat maps enable to confirm the duration and frequency of eye fixation. The order of eye movements could be verified using gaze plots. Comparison of time until first fixation, duration and frequency of fixation could be done by selecting several target areas. Last but not least, the total costs of these research could be roughly estimated by adding a supplement of eye tracker usage and operational costs to the normal package research or depth research costs. Such supplementary costs could vary according to the content of research, devices used, duration, or if analysis was included, but will more or less be from over 500,000yen. Copyright (C) 2016 CBR. All rights reserved.